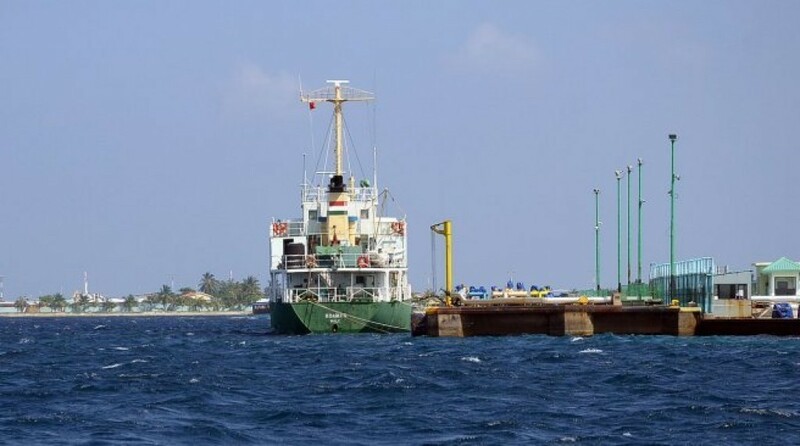 Oil tanker docked at Funadhoo (Male' atoll) to 'transfer' oil for storage units. Statistics of Maldives Customs Services has revealed oil imported to the island nation has reached a worth of USD 314.3 million in 2017. According to the annual financial performance released from Maldives Monetary Authority (MMA) - central bank - with regards to Customs statistics the expenditure on oil import had reached USD 247.3 million registering a 38% bump. Importers had transported USD 37.4 million worth of petrol to Maldives in 2017 whereas the expenditure on petrol in 2016 reached USD 26.3 million. Similarly fuel for sea vessels imported to Maldives reached a spending of USD 234 million while in 2016 it had topped at USD 193 million.